The character of Damar starts out as a small-time sidekick to Dukat in Deep Space Nine’s season four episode ‘Return to Grace’. By the show’s conclusion, he is not only a pivotal character, but he undergoes one of the most dramatic transformations of any character in Star Trek. When we first see Damar, he is serving under a disgraced Gul Dukat aboard a freighter, and after ‘Return to Grace’ we would be forgiven for thinking we would never see the character again. Yet (as Deep Space Nine often did) his profile would grow. 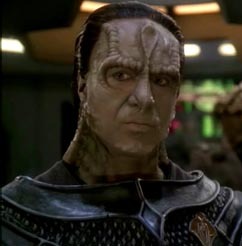 When we next see him, he is still serving under Dukat, but now, he is effectively second in command of the Cardassian Union – albeit an empire subservient to the Dominion. We learn in ‘A Call to Arms’ that Damar shares Dukat’s disdain toward the Bajorans and, like Dukat, he wants to reconquer Bajor. 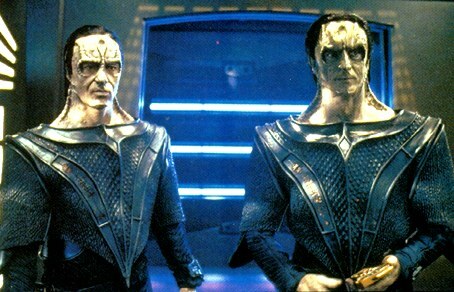 Also like Dukat, he chaffs against the authority of the Dominion, but follows Dukat’s lead in accepting it. Throughout the first episodes of season six, Damar displays his prejudiced feelings about Bajorans (in particular toward Torah Ziyal, Dukat’s half-Bajoran daughter), finds it very tough accepting orders from the Dominion’s chief representative Weyoun, and also displays an intelligent and cunning mind (not only does Damar discover how to bring down the minefield protecting the wormhole, but he wisely assumes Major Kira, Jake Sisko and their companions will move against the Dominion as the minefield gets dismantled, suggesting they are placed into protective custody). The culmination of all the tension as Kira tries to sabotage the station and Dukat’s (slightly unreasonable) expectation that Damar should smooth out their awkward father/daughter relationship after an argument is that Kira beats the snot out of Damar, and Dukat is not best pleased with him. Despite this, Damar remains a faithful servant, clearly believing he can continue to act in Dukat’s best interests – though, in desperation (and perhaps anger/revenge) he kills Ziyal as the Federation fleet closes in on the station. With Dukat abandoning everything and staying on Deep Space Nine, there’s a power vacuum on Cardassia. 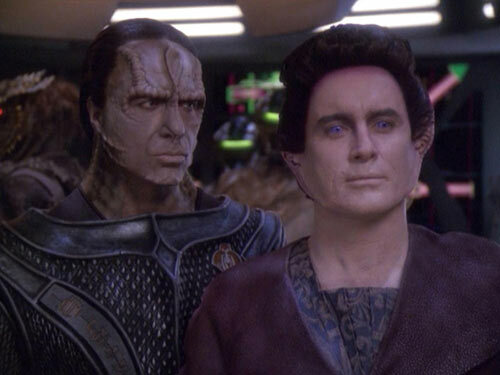 Damar assumes the title of ‘Legate’ and takes command of the Cardassian Union – but as season six wears on, it becomes apparent he is the junior partner, the puppet leader, and Weyoun doesn’t especially respect him. Damar turns to drink, something that becomes a bigger element in his life as season seven starts and begins to rumble on. 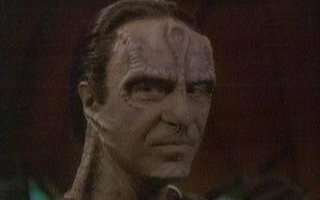 With Cardassian soldiers fighting and dying but with no end in sight to the war and little regard to the sacrifices being made by Cardassia, it’s obvious the Dominion is only interested in using Cardassia (and Damar) as a resource. Damar though, takes longer to fully realise this – and this realisation is perhaps the most critical point for both Damar’s character and the war. Two key things happen that shatter any remaining illusions he has about the Dominion – firstly, they ignore his pleas to help a garrison of some half a million Cardassian soldiers, who end up perishing in a Klingon attack. Secondly, the Dominion secure Breen membership in the Dominion, offering them Cardassian territory without so much as consulting Damar. To top it off, Damar’s ideas for the war effort are now to go via the Been – Cardassia is effectively a second-rate member of the Dominion, and these issues are the final straws. With the war starting to badly for the Federation and its allies, Damar’s decision to rebel against the Dominion is not only profound for Cardassia, but also for the Alpha Quadrant. He suddenly finds himself sent help from someone with experience of resistance movements – Colonel Kira, of Bajor! Damar comes to realise, via his experience with organising a resistance and seeing the other side of oppression, that his actions toward Bajor and Bajorans were very, very wrong. This is brought home in especially cruel and sharp focus by the news the Dominion have killed his family. Now Damar realises he needs to fight not only to save Cardassia, but to rebuild it. This journey culminates with Damar becoming a hero to his people, encouraging them to rise up en masse to stop the Dominion, even at great risk to themselves. He also completes his personal journey from cloying sidekick to inspirational leader, giving his life to help free his people. Truly, one of Star Trek’s most fascinating characters.